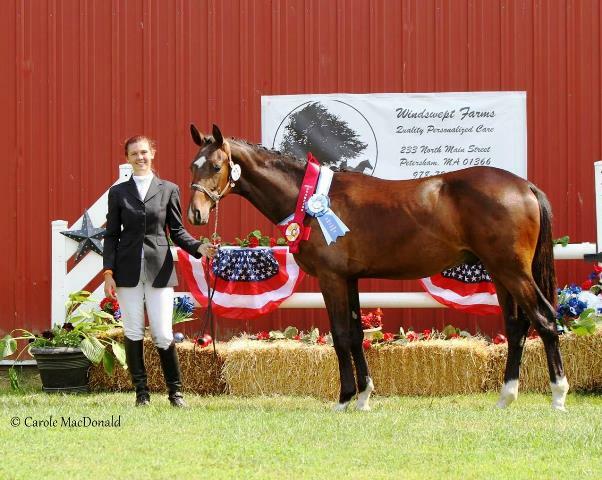 Browse > Home / At The Shows, Offspring, US Horses / 2014: DAVENEY ggf: 3rd in the Nation for AHS year end awards. DAVENEY ggf: by DON PRINCIPE , o/o EM WINNIE WINZIG had a very successfull Show Season with many 1sts, Champion and Reserves. His year ended finding him in 3rd Place Year End overall for the coveted American Hanoverian Society Sports Horse Awards.